While the reveal of the video service on March 25 is probable, it will be light on Apple-created content. For other services, Apple is reportedly facing a March 15 deadline to sign deals to have content providers available for launch. Wednesday's report by Bloomberg also notes that premium cable TV networks like HBO, Showtime, and Starz are expected to ultimately make a deal with the company. However, the trio are holding out until the last minute to extract maximum concessions out of Apple before doing so. The holdouts aren't a new revelation, but the reason why is. On February 13, rumors were already circulating that HBO was still in negotiations for service inclusion. The March 25 event will reportedly be a star-studded affair, with appearances by people such as J.J. Abrams, Jennifer Garner, and Steve Carrell to commemorate the unveiling of Apple's original video content project. The video production effort has seen the investment of at least $1 billion so far into TV shows and movie productions. There is a possibility that new hardware will arrive at the event, including new iPads, AirPods, the AirPower charging mat, or even a new iPod touch. Rumors have gone back and forth on those though, and some products like the "AirPods 2" may not launch until this fall. I dont mind little Apple content if its free. Any providers included in a paid service will be a US only thing anyway and I am in Canada. Hopefully Apple content will launch in other countries. With Apple's poor track record with their Apple TV i doubt this will be successful. But I do think it is unfair for Netflix/Spotify/Deezer to have to compete with Apple and Amazon with these services. 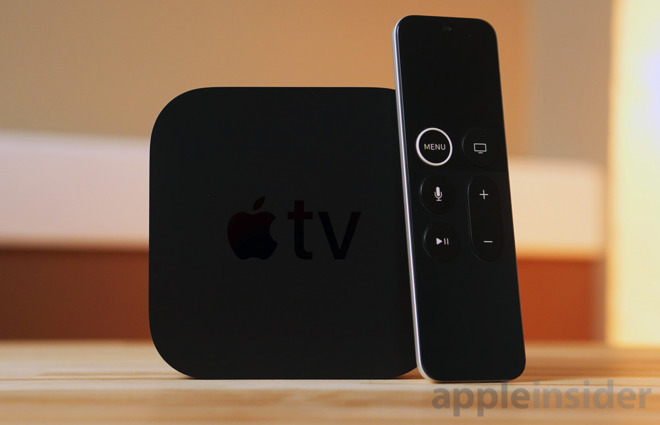 So Apple is on the cusp of finally joining the rest of the many TV Streaming services. Other than it might be more convenient to use, I can't imagine it will be substantively better for channel offerings or price compared to any given service (e.g. Playstation Vue). Seems worrying if just a week or so before the event Apple hasn’t finalized deals yet. Are they rushing this service to appease Wall Street? Indeed. After spending a billion, how can Apple have a shortage of content ? And if so, why not start streaming the iTunes movie catalogue ? Ironic that you picked two giant corporations that have dominated and are number one in the world in their respective arenas- Netflix in streaming video and Spotify in streaming music, as victims of "unfair" competition. Video streaming is one of the healthiest competitive sectors in the world right now, with an ever growing number of giant corporations- Sony, Hulu, Amazon, Google, Netflix, Comcast, Apple and many others, all competing in what has essentially become a "commoditized" product where there is little or no consumer loyalty which means pressure to keep prices low. That's why they are all racing to produce original content, the problem being there is already more content than consumers can consume, so it becomes more an more an issue of price as we see in music streaming, where Spotify has been unable to raise its prices and whose best hope is to be bought out by someone to add to a video streaming package. It's not "unfair" that Netflix chose a similar approach of being a one trick pony of "just" video streaming, but in contrast to popular opinion I predict they will eventually have to sell out and be part of a package to survive. Again, it's not unfair that companies like Amazon, Apple and Google, and Disney and others, are better positioned to offer a package to consumers that includes video and music with other benefits. Consumers will leap for packages that offer greater value and convenience than maintaining multiple subscriptions and duplicate offerings. Apple is well positioned to offer such a package. I find it funny that they'd be worried about HBO and Starz when Apple has apparently pissed off every content maker because they don't want super adult content. No one is interested in an Apple streaming service since all they can promote is Jennifer Aniston and Reese Witherspoon, which are hardly stars people would rush out to sign up for a streaming service. Apple cannot stream the iTunes movie catalog because they do not have the rights to do so. No one is interested in Apple's family-friendly programming that is basically Apple telling you what they think you should watch. And Apple angered the news publications by demanding 50% of the profits, and you know they are doing the same with the video content partners. No one needs HBO, Showtime, or Starz to be on an Apple streaming service when people that want those channels already receive them either through their cable provider or through them directly, HBO Now and Showtime Now. I already pay for HBO and Showtime with my cable package, so Apple adding them to a streaming package offers me absolutely nothing. Streaming has the major downside of internet outages and buffering issues if the network is busy. Also don't forget that Disney is doing their own streaming service so Apple's service will NEVER have Disney content, and that is a big deal with most families that want Disney content for their kids. Although, they probably already own them on disc and/or digital download anyway. What poor track record? My Apple TVs have each been awesome. I much prefer them to the other boxes. And why why is it unfair for them to compete? Is it unfair for Target/Walgreens/grocers to have in-house brands competing with outside brands? In-house brands don’t have to pay slotting fees to access the shelves, so that’s an “unfair” advantage, and these generic in-house versions are always cheaper than the name brands. So what? Telling that your first assumption is a pearl clutching narrative about Apple failing by catering to to Wall Street over delighting the customer, despite, um, never doing this, and being known for not doing so; rather than assuming the rumor is inaccurate. Yes, worrying! Concern! Fear! Uncertainty! Doubt! Paranoid jibberish. Firstly because it’s all rumor and hearsay at this point. Secondly, because every brand that exists tells you what they think you should do. Budweiser thinks you should “Drink Bud!”, Disney thinks you should watch their content, etc.. Consumers are free to vote with their wallets. Rumor sites people are free to claim anything and everything Apples tries to do will fail. The world keeps turning. To me, cable packages are for suckers. Paying extra for a bunch of crap you’ll never watch. The all you can eat buffet model. Gross. I cut cable almost twenty years ago and have saved myself a bundle of money and time. Internet outages are a major disadvantage? LOL! Where are you living, man? I live in a city and depend on the internet for my livelihood. Works just fine. Because Apple always tries to uniquely solve a problem rather than just offering technology for technologies sake. As long as this ‘own content’ business helps them usher in a decent TV/Movies source aggregation App backed by all major providers I’ll be happy. Don’t care if it’s created, procured or agency anything to avoid 3rd party TV Apps.